Choose one trim color. Flow lines may be visible in metallic trim colors. All include a full-color wrapped barrel, and black stylus pad. 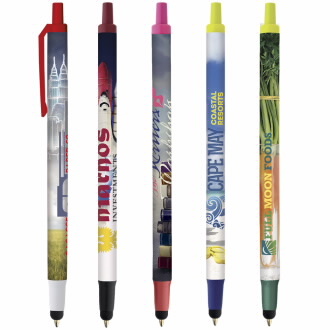 This product can be found on page 80 of the BIC Graphic Catalog.